Does your school have a gardening club or do you need help setting one up? 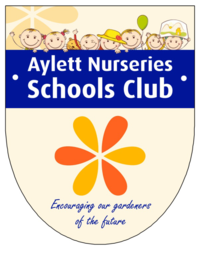 This is how Aylett Nurseries can help your School Gardening Club! 1. Free help and advice from our expert team. 2. Free delivery within our normal delivery area. 3. 10% discount on most items. 4. Telephone ordering available, you can deal directly with our office team. 5. Accounts set up with thirty days to pay. 6. Largest range of plants and equipment in the area, for you to choose from.